Welcome to Part 5 of the Mailserver Configuration series in which we will cover Mail Filters. 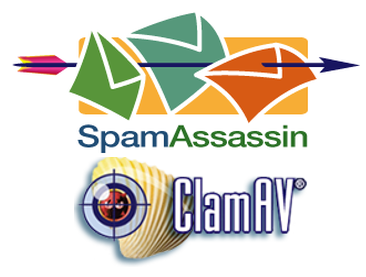 We will be using SpamAssassin to protect our users from Spam, and ClamAV to protect them from Viruses. I feel like I should mention this right away: These Filters will NOT stop everything, they just help reduce the amount of spam and viruses the users will receive. If you haven’t seen the previous parts of the mailserver series, you can find an Index of the sections at the end of this post or on Part 1 of the series. A lot of this series has been fairly backward-compatible with CentOS 6, however there are some significant differences in the configuration of the filters between CentOS 7 and CentOS 6. Now we should have everything we need to setup filters on our mailserver. SpamAssassin doesn’t require any configuration, Amavis takes care of that by default. We just need to configure Amavis and ClamAV. The first thing we need to do is verify that Virus and Spam filtering is not disabled. Toward the top of the configuration file, you will see three lines under “Commonly Adjusted Settings:”. They should be commented out be default, this is good. Specifically make sure that @bypass_virus_checks_mapsand@bypass_spam_checks_maps are both commented out or else Amavis wont even try to scan your emails. After verifying those lines, move on to find the $mydomain line. Set that to the appropriate domain.tld for your server. $virus_admin = "postmaster\@$mydomain"; # notifications recip. # this entry; when running chrooted one may prefer a socket under $MYHOME. The path after “Local Socket” should match the path in “/etc/amavisd/amavisd.conf” if it doesn’t, adjust the path in amavisd.conf. This should complete the ClamAV configuration, Amavis takes care of the rest provided it can access the socket. Now reload the daemons, start ClamAV, and set it to start at boot time. That should be all the modifications we need to make to master.cf so lets add a couple lines to main.cf. This line just tells Postfix that there is a content filter available (amavis) and where to find it. Now if you take a look at “/var/log/maillog” you should see a bunch of “Found decoder” messages for amavis, then a “Found secondary av scanner ClamAV-clamscan” then the usual stopping and starting Postfix logs. Your system should be set to scan emails now, lets test it. It should respond with a bunch of lines starting with “250-” if you get these, Amavis should be working. You should get a bunch of “250-” lines again. If you got the lines, Postfix is configured to receive from Amavis. This time you should see a line similar to: “Blocked SPAM” that means SpamAssassin is working. If both of these tests were successful, you should now have Anti-Virus and Anti-Spam protection for your server. We should make sure the definitions stay up to date though. Viruses and Spam are changing constantly, so we need to make sure that our server’s filters always have the latest definitions so they can effectively fight unwanted emails. ## Please read the freshclam.conf(5) manual before editing this file. # Comment or remove the line below. ### !!!!! REMOVE ME !!!!!! Hint: With nano you can use CTRL+K to cut out an entire line of text. That’s it! Your mailserver should automatically update it’s Spam and Virus definitions. In this section we covered the installation of mail filters. There will still be another section at the end of the series on configuring blacklists sender verification. For now there is enough Spam and Virus protection that we can move on to setting up a way to get the email off the server. Up until this point our mailserver can send and receive email, but we don’t have any way to download and read that email. This is where Dovecot comes in. Dovecot provides IMAP and POP3 capabilities to our server. In the next section we will cover installing Dovecot and configuring it to use our PostgreSQL database we setup in Part 3 for authentication.